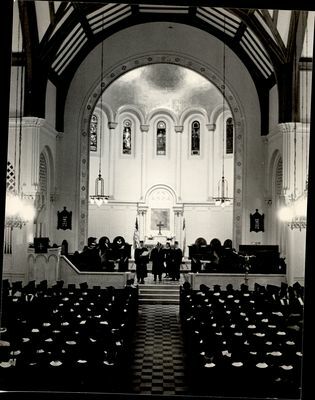 "Graduates Looking On From the Pews, Commencement ca. 1950s - 60s"
A crowd of graduating students sit in chapel pews. Black and White Photograph; minuscule and infrequent scratches present along the surface.